Master Limited Partnerships, or MLPs, have been a terrific asset class for investors looking for fat dividend yields. 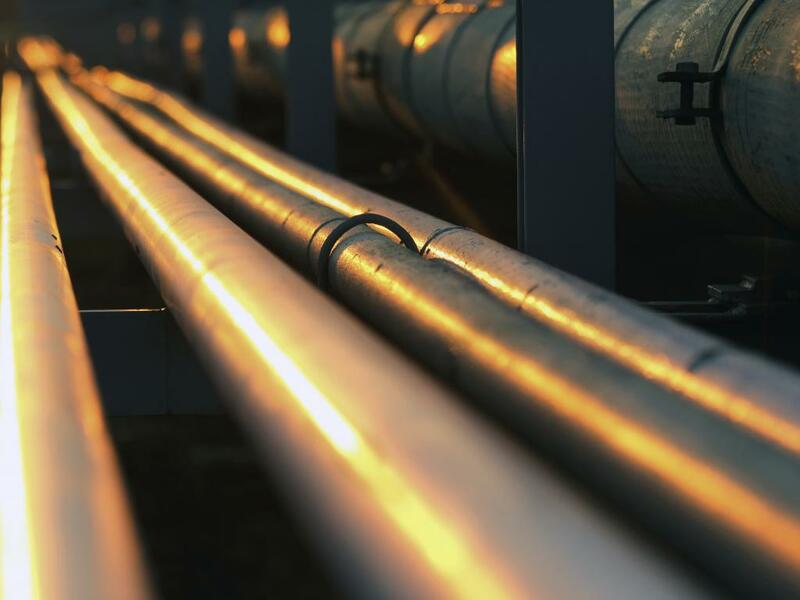 The shale oil and gas boom in the United States has been a significant catalyst for this sector in recent years, and the success of oil and gas pipeline MLPs appears to be a long-term trend. These businesses earn stable income by transporting oil, natural gas and gasoline. MLPs' advantage is that they pass through the vast majority of their earnings to unit holders in the form of dividends or quarterly distributions. These distributions enable the partnership to avoid corporate income tax at both the state and federal levels. Atlas Pipeline Partners (NYSE: APL) - This MLP is engaged in diversified natural gas gathering and processing throughout the United States. According to the company's investor overview, APL operates in the midstream natural gas industry in the Mid-Continent region of Oklahoma, southern Kansas and northern and western Texas. The firm owns and operates five active gas processing plants as well as approximately 10,100 miles of pipeline. Over the last 52 weeks, shares have lost around 16 percent, including a roughly seven percent decline in 2014. At current levels, the MLP is yielding a very attractive 7.60 percent. APL has a market cap of $2.62 billion and analysts anticipate revenue of $669.54 million in the current quarter. 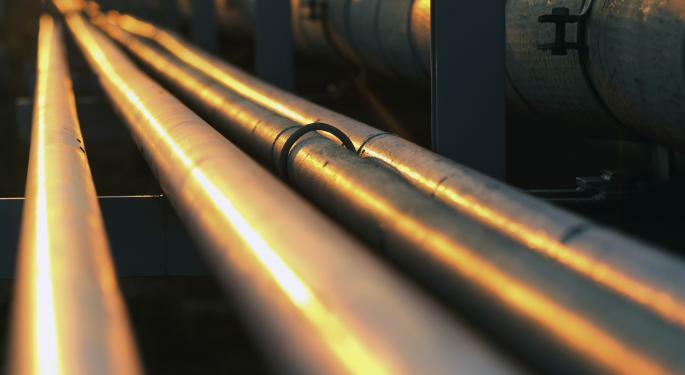 DCP Midstream Partners (NYSE: DPM) - This Denver, Colorado-based MLP is engaged in the business of gathering, compressing, treating, processing, transporting, storing and selling natural gas. It is also involved in the NGL and condensate market along with the wholesale propane market. The General Partner, DCP Midstream GP, LLC, is wholly owned by DCP Midstream, LLC, a joint venture between Spectra Energy (NYSE: SE) and Phillips 66 (NYSE: PSX). The MLP is currently yielding a little over five percent. 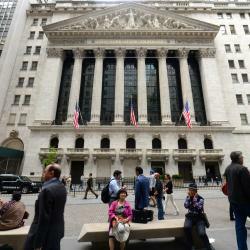 Over the last year, shares are up around 11 percent, including a gain of nine percent in 2014. DCP has a market cap of almost $6 billion. El Paso Pipeline Partners (NYSE: EPB) - El Paso is a $7.4 billion MLP located in Houston, Texas. The company owns and operates interstate natural gas transportation and terminal facilities. It is structured as an owner of numerous smaller companies. The CEO and Chairman of El Paso's board of directors is Richard Kinder, one of the most influential people in the development of the MLP asset class. At current levels, El Paso yields nearly eight percent. Analysts have a mean price target on the shares of $34.83 with a high target of $40.00. El Paso has lost almost 23 percent over the last year, including an eight percent loss in 2014. Holly Energy Partners (NYSE: HEP) - Holly operates a system of petroleum product and crude oil pipelines, storage tanks, distribution terminals and loading rack facilities in regions throughout the United States. The Dallas, Texas-based MLP has risen almost eight percent in 2014, but is down eight percent over the last 52 weeks. Holly has a market cap of just over $2 billion. Currently, the shares are yielding a very attractive 5.80 percent. The shares trade at a forward P/E of just under 25 and a PEG ratio of 2.28. Buckeye Partners (NYSE: BPL) - Buckeye owns and operates independent refined petroleum products and pipelines throughout the United States. The MLP has approximately 6,100 miles of pipeline and 100 active products terminals with total storage capacity of over 64 million barrels. At current levels, Buckeye is yielding 5.60 percent. Unlike many of its competitors, BPL has been a strong performer over the last year, rising around 12 percent. In 2014, the shares are up just under 10 percent. Wall Street analysts have a one year price target on the MLP of $79.30, which compares to its current price of roughly $78.00.